EVENTS YOU WON’T WANT TO MISS. Join us for daily happy hour 11 a.m. to 6 p.m.* $3 domestic bottles, domestic pints and rail drinks. Excludes St. Patrick's Day, last Friday & Saturday of Leprechaun Days and live music nights. Make sure to stop by and visit our pull tab booth with proceeds going to Rosemount Area Hockey Association. Our pull tab booth is one of the hottest spots to play south of the river. We offer eight boxes ranging from $1.00 to $5.00. Open every day 11:00 a.m. to close. MONDAY: Progressive Bingo Night: 7 p.m.
All-you-can-eat pizza, salad and pasta buffet, 5:00 p.m. - 8:00 p.m. $8.99 adults, $4.99 kids 10 & under. All-you-can-eat pizza, salad and pasta buffet, 5:00 p.m. - 8:00 p.m. $8.99 adults, $1.99 kids 10 & under (with purchase of adult entree). SATURDAY: Meat Raffle 5 p.m. to 7 p.m.
$4.50 Captain Morgans all day, every day. DESIGNER PURSE BINGO! Join us the first Thursday of every month for Designer Purse Bingo! $26 for a set of 6 cards (all games) and $13 for an additional set of 3 cards for all games. Individual game sheets will be sold as well. Jackpot prizes worth up to $1,200! CANVAS & COCKTAILS! 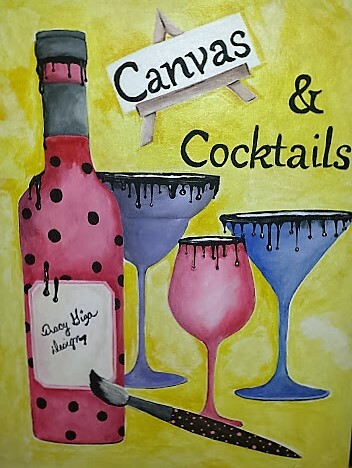 Join us to paint a beautiful canvas while sipping on a good glass of wine. Check out our event calendar for when the next Canvas & Cocktails event is. Stay up to date with all things related to Rosemount Carbone's by filling out the form below. You'll be added to our mailing list and will receive emails periodically about events, specials and more. You can unsubscribe at any time.